So you wanna try something new, something exciting? If you’re a fan of crazy rendered down fatty deliciousness, this will certainly do the trick. 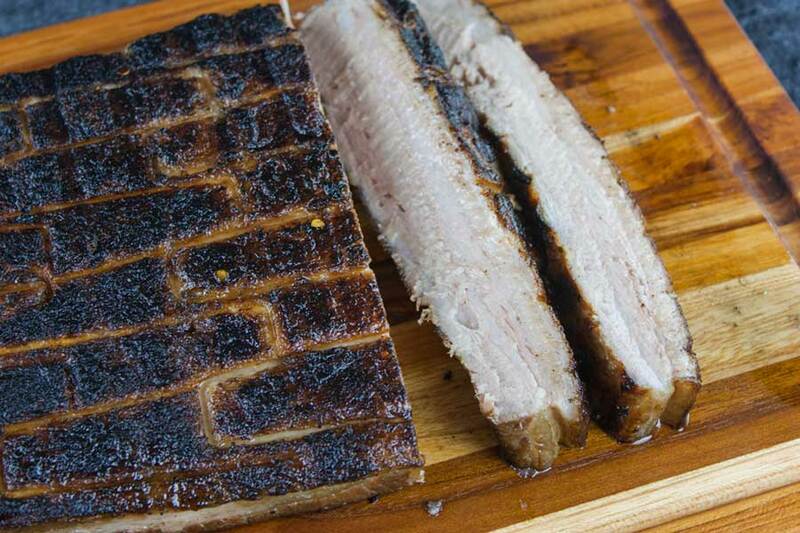 This smoked pork belly blew us away. It was so rich and filled with juicy pork flavor that it surprised us. We knew it would be good, but we had no idea that it would be that good! Our pork belly is smoked for about an hour or two using apple wood while braising for 5 1/2 hours and then crisped up over direct heat. It has a crispy outside and the inside is just melt-in-your-mouth flavor! 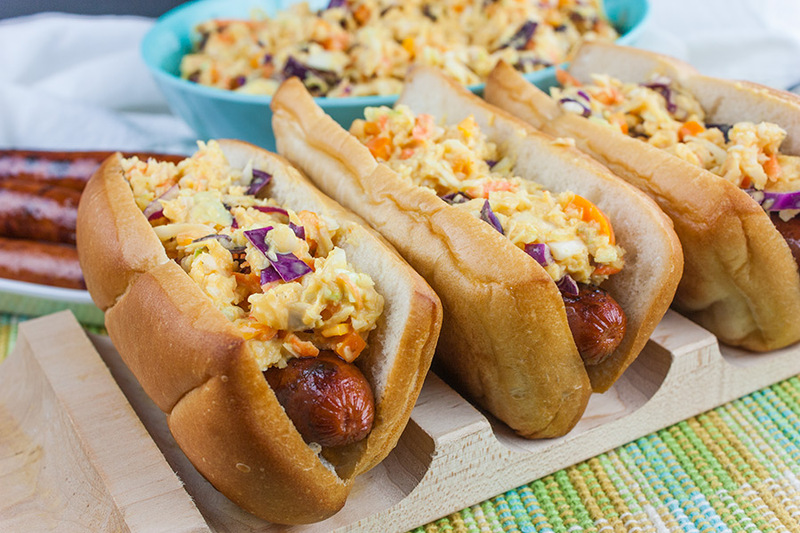 If you want to mix up your BBQ game, give this recipe a whirl. How you eat your pork belly is entirely up to you. You can cube it up and just eat it as-is. While we snacked on it off the grill, we are excited to use it as a pork belly slider and some ramped up pork belly tacos. Pork belly comes from the belly of the pig. It is boneless and is primarily used, in the US, for bacon and salt pork. It is particularly popular in Chinese, Korean and Philippine cuisine as well. Pork belly is basically uncured, un-smoked and un-sliced bacon. Standard American bacon is cured with salt and also smoked. Pancetta, Italian bacon, is cured with salt and spices but is not smoked. 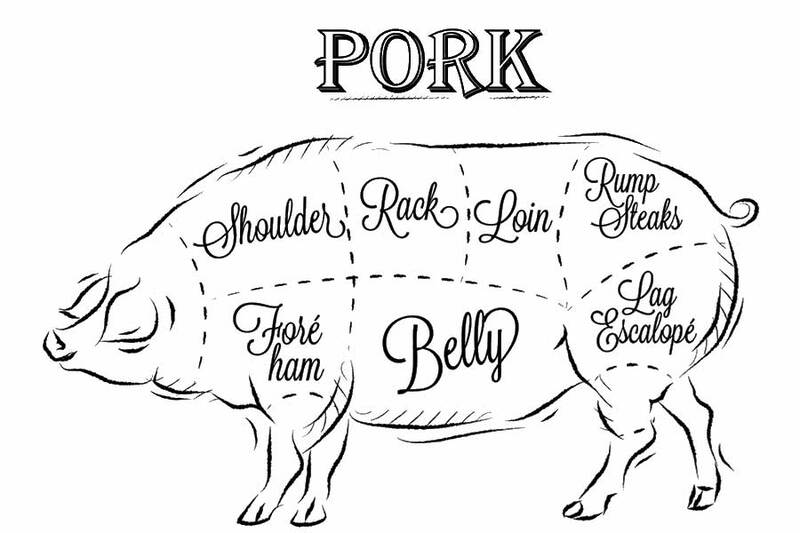 If you purchase whole pork belly it will come as one big, long cut of meat, weighing up to 10-12 pounds. That is one huge chunk of bacon! But the pork belly we’re talking about is much different. People who work with food consider pork belly far superior to bacon. Pork belly has juicy fat layers wrapped around the meat. 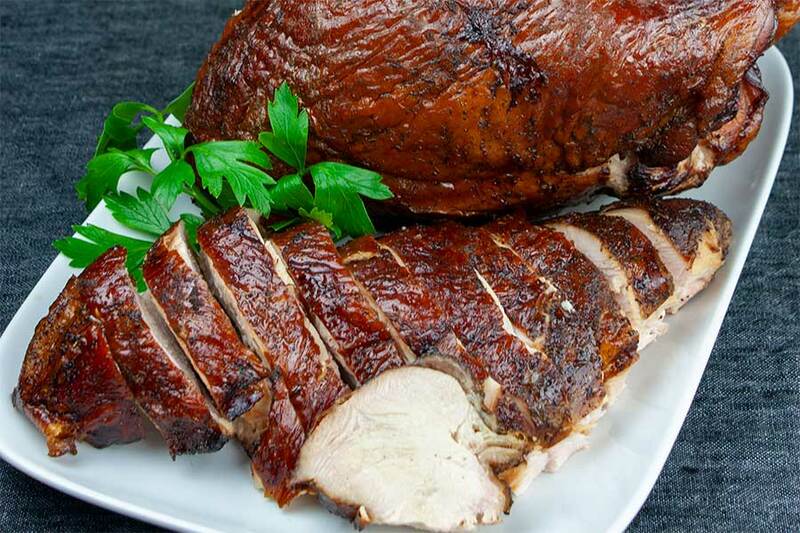 There isn’t much meat, but once cooked it becomes extremely tender. And that fat is extremely rich and decadent. It is so melt-in-your-mouth fantastic. There are many ways to serve this up. You could serve it as a main dish with appropriate and favorite sides. You could make a serious pork belly sandwich or slider with a little BBQ sauce. You could even do a highly elevated pork belly taco. Any of these particular ways of serving this smoked and braised pork belly is going to blow you away! This recipe is highly recommended, give it a try. Invite some friends and family over as well. Serve this up and sit back and bask in the praise that follows! 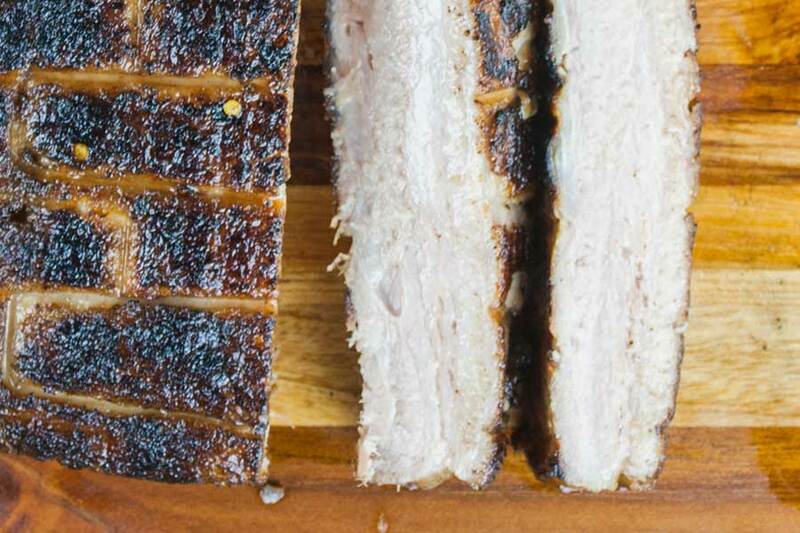 Admittedly, there are some steps to preparing this crazy good pork belly. But they are worth it and actually pretty basic. All that is needed is to prepare the marinade, cook the pork belly itself, and then finish it off with the glaze. My brother-in-law prepared this dish for us one Christmas. I had ridiculously caught the flu en route and ended up in a hazy fever the entire time we were there. While that Christmas was a blur, one of the things I do remember was how crazy good that pork belly tasted. His recipe is freely adapted from Adam Perry Lang’s recipe. He highly recommended it so of course, we had to try it. The man knows good food. Ours does not differ much from his. We used less garlic and more serrano. We also decided to forgo his ‘finishing sauce’. 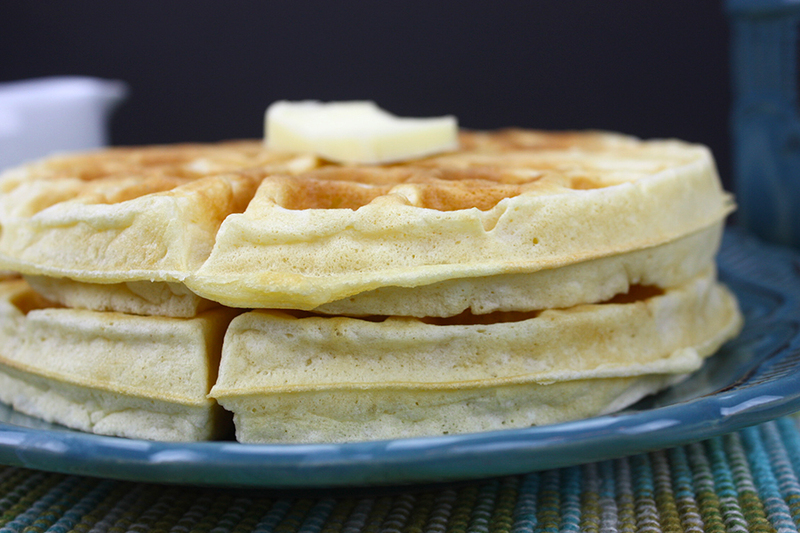 If you want to try his recipe, you can find it with a simple google search for Adam’s recipe. 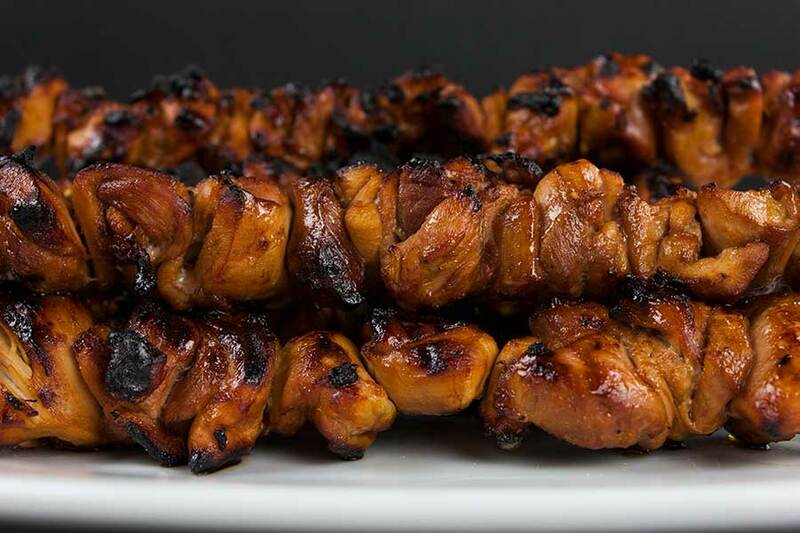 The night before you plan on serving your smoked pork belly prepare the marinade. 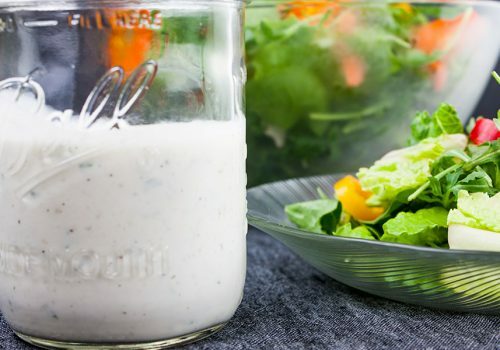 Combine all the marinade ingredients in a blender or large bowl using an immersion blender. Put the pork belly into a resealable zip lock bag and pour the marinade over the top. 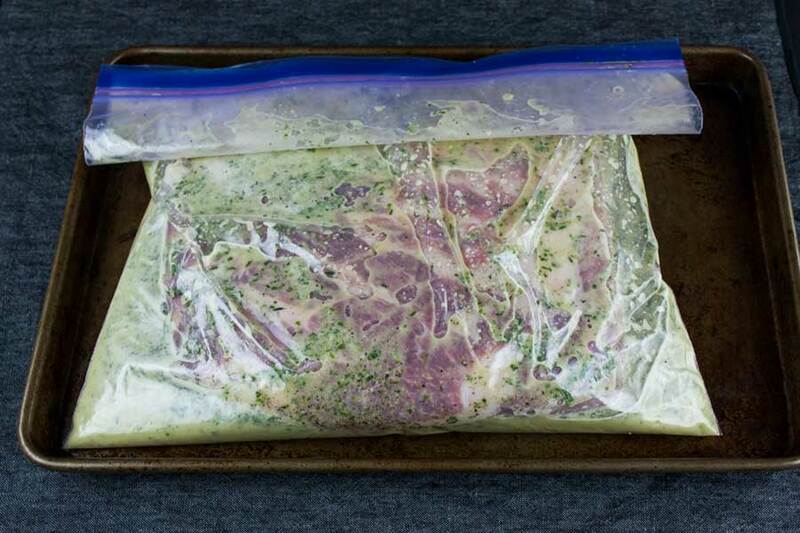 Squeeze out any air from the bag, close, and mix around, covering the pork belly with the marinade. Refrigerate overnight, for at least 12 hours but up to 24 hours. Preheat BBQ to 275 degrees Fahrenheit. While the grill is preheating, remove the pork belly from the marinade. 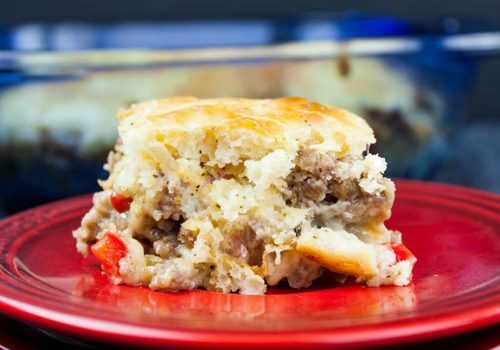 Place it into a baking dish or disposable aluminum pan. 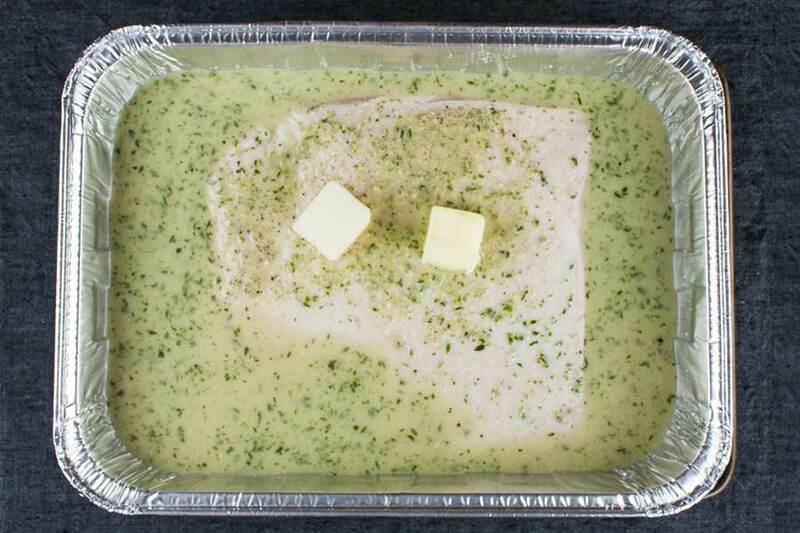 Add the marinade, butter, and water to the pan and partially seal with heavy duty aluminum foil. Place pan into the cooker and add the smoking wood to the fire. The total cooking time is 5 1/2 hours. Keep adding wood as needed and smoke for 1 to 2 hours. After your desired smoking time, seal aluminum foil tightly around the pan and continue to cook for the remaining time. After 5 1/2 hours total cooking time, remove from cooker and allow it to rest in the pan for 2 hours. Approximately 30 minutes before the end of the resting period increase the temperature of your grill to 375 degrees Fahrenheit. The heat needs to be high enough for crisping the skin. Add the bourbon to a small saucepan and cook the alcohol off. Bring it to a small boil for about 1-2 minutes. Be careful of a potential flare-up. 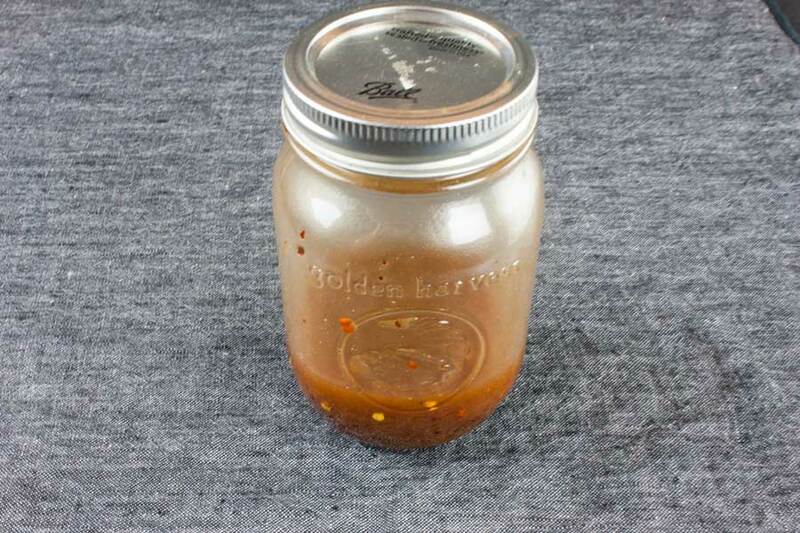 Add the remaining glaze ingredients to a jar with a tight-fitting lid and add the warm bourbon. Close the lid and shake well, incorporating all the ingredients then set aside. Pour vegetable oil into a bowl. Carefully remove the pork belly and liberally brush oil onto the pork belly, skin side up. Turn over and coat the other side. 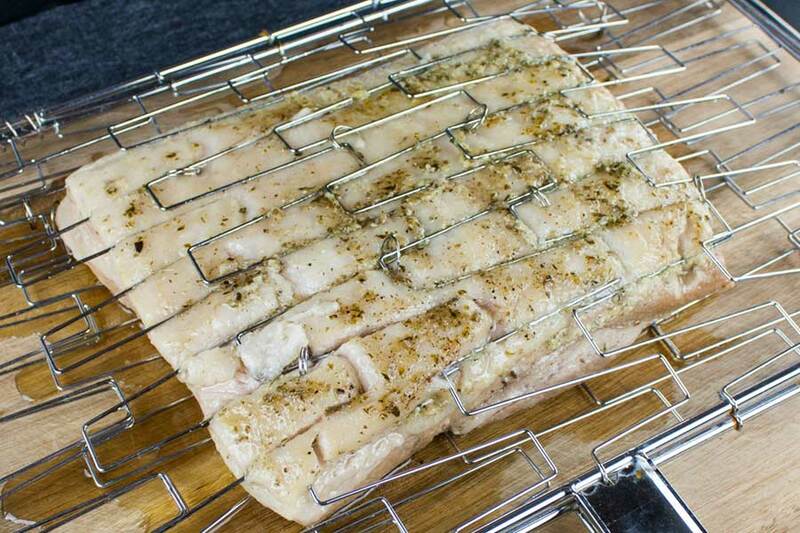 Transfer the pork belly to the grilling basket and close it. I cannot stress enough to treat it gently. It is so tender that if you’re not careful, it will fall apart on you. Place the pork belly over direct heat skin side down and cook for 15-20 minutes, crisping the skin. Mind the grill, it will flame up on you. But you do want to get that pork skin crispy. Crispy skin is the key! Get your glaze and shake it, re-incorporating the ingredients. Remove and coat all sides with the glaze. Return to the heat, skin side UP and cook for 5 minutes, tightening up the glaze. Turn and cook the other side for an additional 5 minutes. Remove from heat and place on cutting board skin side up and allow to rest for 10 minutes. Sprinkle with olive oil, salt, and pepper. Cut into slices, using an electric knife, if you have one. The meat will be extremely tender. We’re actually going to use some of the leftovers to make some very crispy pork belly by cutting it into big chunks and frying them up in a skillet. There is really no end to what you can do with this. 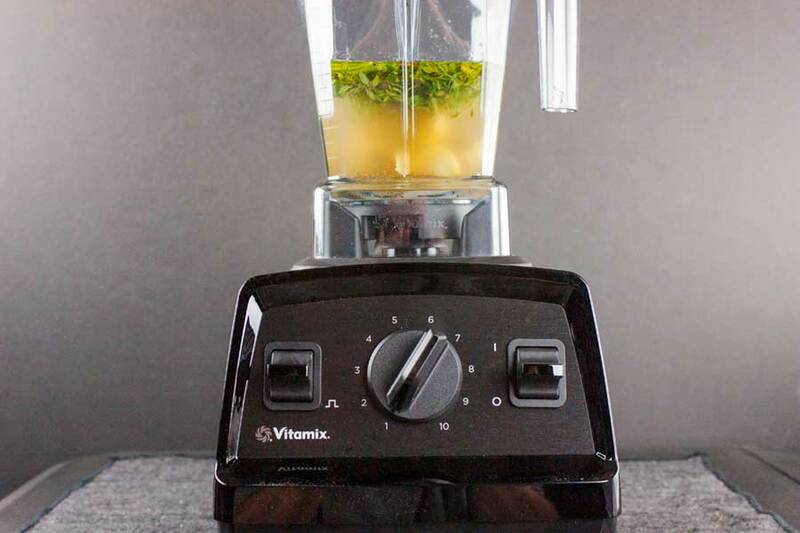 Combine all the marinade ingredients in a blender or large bowl using an immersion blender. 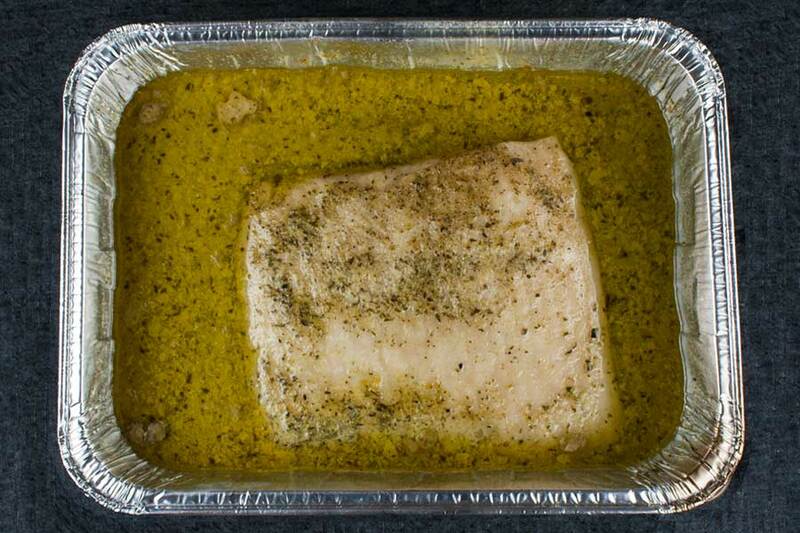 While the grill is preheating, remove the pork belly from the marinade and place into a baking dish or disposable aluminum lasagna pan. Approximately 30 minutes before the end of the resting period, increase the temperature of your grill to 375 degrees Fahrenheit for crisping the skin. Add the bourbon to a small saucepan and cook the alcohol off, approximately 10 minutes. 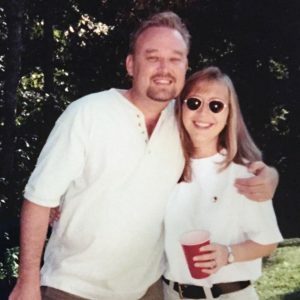 Be careful of a potential flare-up. Pour a film of vegetable oil into a baking dish or disposable pan. Carefully remove the pork belly and place skin side down into the oil. Turn over and coat the other side. Transfer the pork belly to the grilling basket and close it. Place the pork belly over direct heat skin side down and cook for 15-20 minutes, crisping the skin. Mind the grill, it will flame up on you. Get your glaze and shake it, re-incorporating the ingredients. Remove the pork belly and coat all sides with the glaze.